It appears as if tonight will be a big night for Trump, despite the wishes of the GOP elites, who would like to see different results. The pundits have been predicting Donald Trump's downfall since he began his campaign and they've been wrong. But that's not what I want to ask you about. 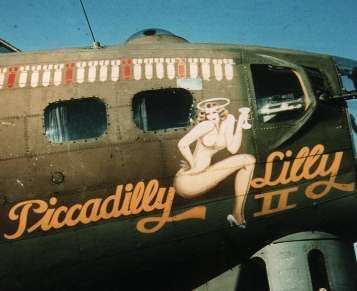 IF Donald Trump is made commander-in-chief of the US Military, will pilots be allowed to put nose art back on their airplanes? Or are women opposed to this sort of thing? Since Bruce Jenner is the woman of the year, would his image end up on somebody's airplane?